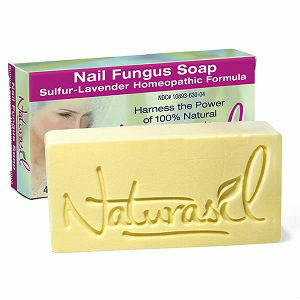 Our mission at ToeNailFungus.Center is to assist those suffering from nail fungus find relief. We have created this entire site for the purpose of education of nail fungus and the treatments available for this disorder. Here, you will find information on the causes, symptoms, treatments, and trends associated with nail fungus. After browsing this website, you will be a giant step closer to having fungus-free nails that are beautiful, healthy, and vibrant. This website is the #1 resource for information that pertains to nail fungus. We take a lot of pride in the effort we have put forth to provide you the most up-to-date information on the best Nail Fungus Treatments available today. 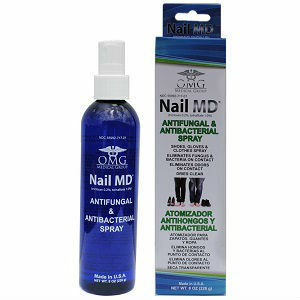 As you can imagine, there are hundreds, if not thousands, of treatments available for treating nail fungus. As we were searching for the various treatments for nail fungus, we took into account a lot of factors. Our top priority is to provide treatment options that meet the following nine criteria. Nail fungus, medically known as onychomycosis, is really an infection under the nail, inside the nail bed. It can occur in both fingernails and toenails. Because of the infection, the nail appears dark, yellow, and thickened, sometimes to the point where it is difficult to cut. The top of the nail may appear crumpled. The fungus that causes this disorder breeds in warm, dark, damp places, just like any other fungus. The main reason this fungus occurs on the feet is because shoes make the perfect breeding ground for it. At first, the fungus appears as a white or yellow spot on the nail. Over time, it begins to spread and make its way along the nail bed to the cuticle area. Once it spreads into the nail bed, it can be very difficult to get rid of. The affected area of the nail may begin to crumble or the edges may become flaky. This can make you very self-conscious and make you embarrassed to go barefoot or wear sandals, which is unfortunate. One of the main treatments is to avoid wearing constrictive shoes by wearing open-toed shoes and sandals whenever possible. Nail fungus is more common the older we get. This is due to lower blood circulation. Nails naturally get thicker as you age. 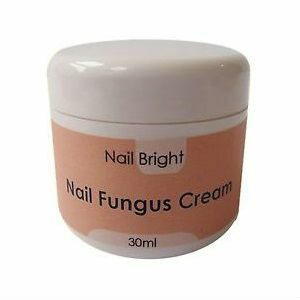 This makes it more difficult to manage the fungus growing under nails and makes you an easier target for nail fungus. If you are immune compromised, it can lead to the increase of nail fungus and make it more difficult for your body to fight off the infection. Any type of damage to the nail can cause the nail to be more susceptible to developing this type of fungal infection. 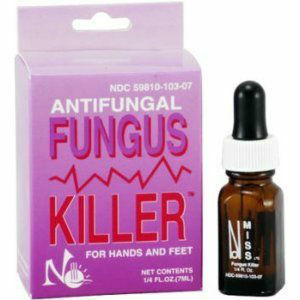 Damage such as hitting your nail on something or stubbing your toe can make a fungal infection appear extremely fast. It can also allow the infection to spread to the nail bed a lot easier. The most common location for nail fungus is on your toes. This is because your feet spend a lot of time in the dark, damp environment of your shoes. This is especially true if you have spent any time barefoot in a public shower, locker room, or swimming pool, basically anywhere a lot of barefoot people frequent. People who spend a lot of time with their hands in water or gloves develop fungus under their fingernails a lot easier than those who keep their hands dry. Also, those who have their nails done on a regular basis have a higher incidence of fingernail fungus. This is because many nail salons do not clean their equipment between uses. Always ensure that the nail salon you go to sanitizes their equipment between customers so that you are not exposed to nail fungus from other people. This also applies if you have your toenails manicured at a salon. Nail fungus can be very hard to treat, especially if it has been around for a while. The human nail grows very slowly. Nail fungus lasts as long as it takes for the nail to grow out. If left untreated, it can last for many nail growth cycles. If the infection is caught early, it can be treated a lot more easily and more effectively. Doctors tend to prescribe very strong medication. Most of this medication is taken by mouth and is extremely strong. Unfortunately, medications like Lamisil, Sporanox, and many others can have undesirable effects on the liver, sometimes even toxic effects. To make matters worse, they have to be used for a long time before you see any result from using them. Also, those who have a heart condition or other disorders cannot take these medications because they could cause the preexisting condition to become out of control, or they may not mix well with the medications that are currently being taken. Taking these medications does not mean that you will have a healthy nail right after you finish taking the drug. Most of the time, it takes over 9 months for a healthy nail to replace one that is affected by a fungal infection. 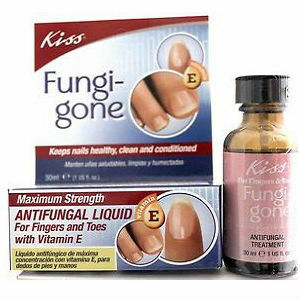 If a fungal infection is caught early in the process, a doctor may prescribe a paint-on nail lacquer that has anti-fungal effects. 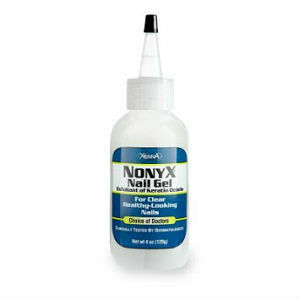 This treatment paints on like nail polish and is known as ciclopirox or Penlac. For a great deal of people this does work and clears the infection up pretty quickly. Among these people, are typical complaints that it causes irritation to the skin around the nail, or that it does not get deep enough into the nail to get rid of the fungal infection completely. Because of the disadvantages associated with breaking through the nail to take care of the infection, your doctor may use a machine that looks similar to a dremel to grind the nail and make it thinner so the lacquer will penetrate the nail and take care of the infection. Some patients may face surgical removal of the nail. This is especially true if the infection is deep in the nail, or if it is causing the patient a lot of pain. Many doctors believe that the best approach to treating a severe infection is to remove the entire nail and allow a new nail to grow in its place. 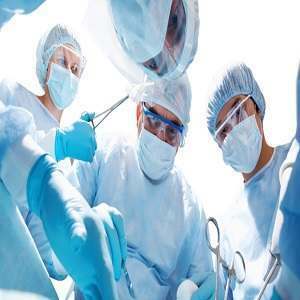 Not only is the surgery painful, but the nail takes a long time to grow back and the area where the nail was removed from can be very sensitive until it does grow back. The best way to prevent nail fungus is to avoid it and the things that cause it. Unfortunately, this is not always possible. Learn how nail fungus breeds. All fungus breeds in dark, damp places. Keep your hands and feet dry. Make sure that there is some point during the day when your feet are outside of your shoes and socks, especially when at home. Expose your feet to light and clean, fresh air as much as possible. Always have an extra pair of shoes and socks available. If your shoes and socks get wet, either from sweat or an external source, change as soon as possible. Wear shoes that are loose enough that your feet get air. Do not go barefoot in public places. Wear some form of protection on your feet if you are in public, wet places like pools, locker rooms, or showers. Ensure that your nails are properly trimmed. Longer nails can allow fungus to get under the nail. Take your own tools to a manicure or pedicure. While it might seem strange, or make you feel as though you are going to receive dirty looks, it ensures that the tools used on you are clean and sterile. If you cannot do this, make sure those who serve you change their equipment with fresh, sterilized equipment. Another option is to check that the salon practices good hygiene and uses an autoclave to sterilize its equipment. This is a special machine guaranteed to clean materials to a medical quality. It is your body, and you are a paying customer. Do not be afraid to ask the nail technician to clean the wash tub with bleach and water before you put your feet into it. People who sweat a lot — especially true if your hands and feet sweat a great deal. Just like with any other medical condition, seek medical treatment as soon as you notice a problem. This means as soon as you feel any difference in the way your nail feels or looks. As soon as you see discoloration, you should seek treatment. If at any time you notice that your nail is becoming brown or appears to be turning black, seek medical advice right away. The nail has a foul odor. The nail and area around it hurts. There are so many excellent treatment options out there. Some work very slowly and others, have been know to be totally ineffective. the key to eradicating fungal infections quickly is to find an effective solution. As well as all the useful tips we have mentioned, such as walking around without socks and shoes on, allowing your feet to breathe, we suggest finding a treatment that contains clinically proven ingredients such as undecylenic acid or tea tree. We have also seen many treatments suggesting that you can use an emery board to scratch the surface of the infected nail prior to applying the treatment, which allows the ingredients to be absorbed more efficiently, rendering speedier results.